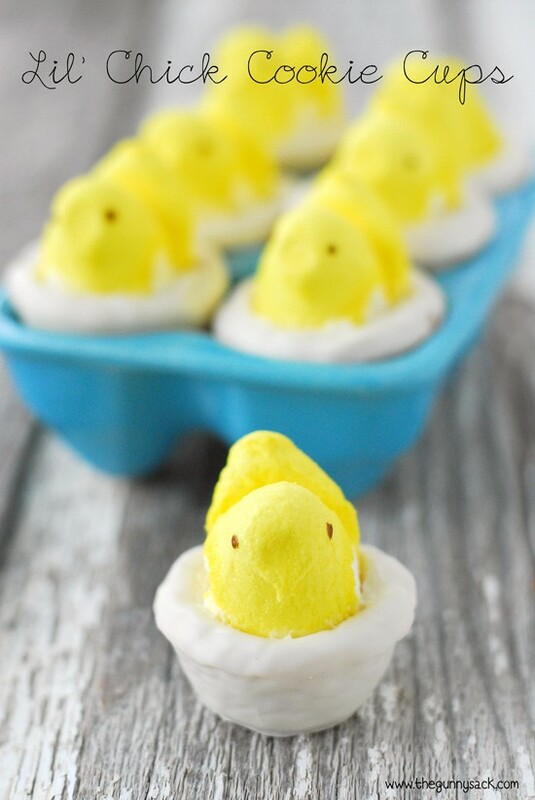 These adorable Lil’ Chick Cookie Cups are a fun Easter dessert that just says spring! They could be used for a kid’s farm or barnyard party! 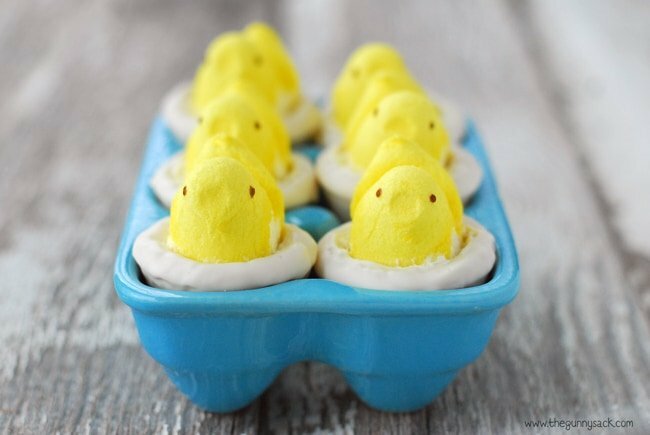 Don’t these Lil’ Chick Cookie Cups make you think of spring? It’s kind of hard to get spring off the mind! We had a beautiful weekend with warm weather. 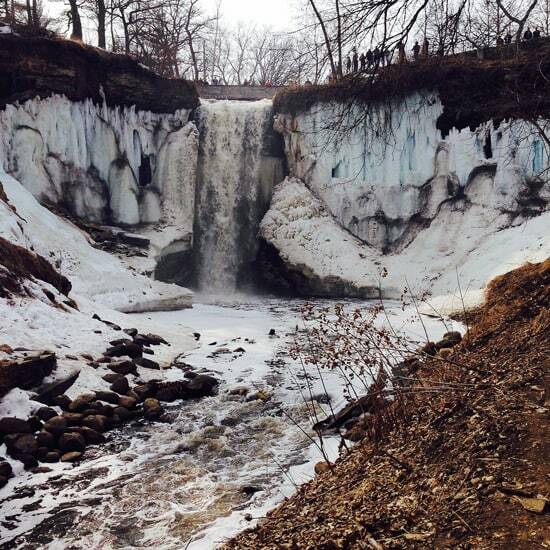 We went with some friends to walk around Minnehaha Falls in Minneapolis. It was funny to see people dressed for every kind of weather. Some people had on winter boots and other were walking through the slushy snow in flip flops! Here is a picture from the bottom of the falls. Some of the more daring and willing to get dirty park visitors were doing behind the falls on the slippery, muddy slope but we opted not to. We had a great time and enjoyed the warm day with friends. 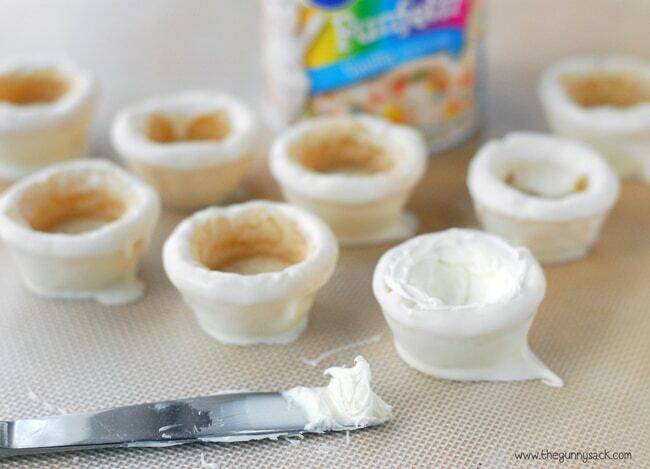 To make the cookie cups, separate refrigerated sugar cookie dough into 24 pieces. 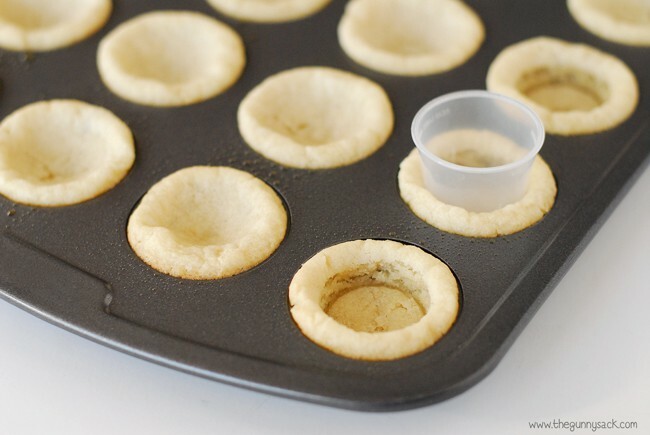 Press the pieces of cookie dough into a greased mini muffin tin. Bake at 350 degrees for 10-13 minutes. 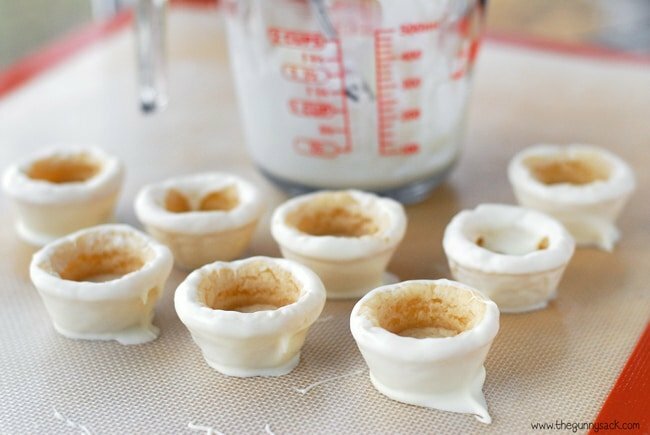 Remove from the oven and use a small cup or spoon to make indentations in each cookie cup. Allow the cookies to cool completely in the pan. Once they have cooled, gently remove them from the pan. Melt vanilla almond bark in the microwave according to the instructions on the package. Dip the cookie cups into the melted almond bark and place them on a silicon mat or a piece of parchment paper to harden. Frost the insides of the cookie cups with vanilla frosting leaving room for the marshmallow chick. 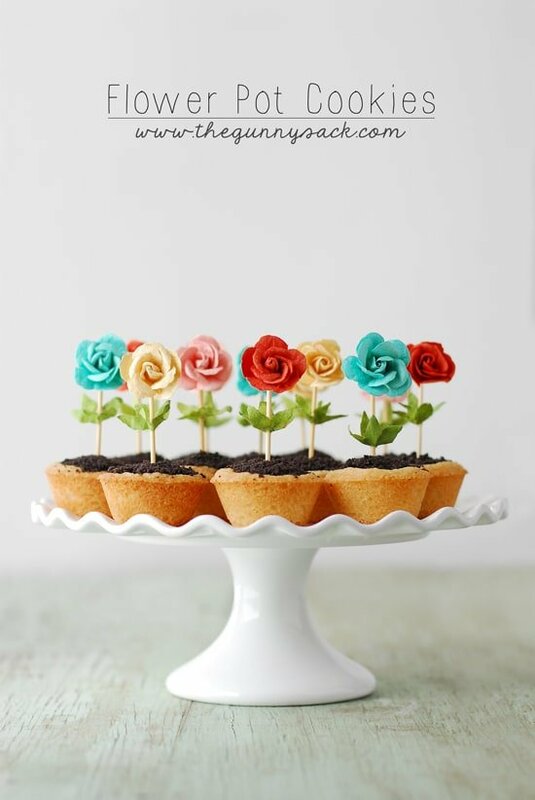 Use a thin, sharp knife to cut off any excess almond bark from the bottom of the cookie cups. 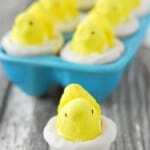 Cut the bottom part of yellow Peeps chicks off. Insert the chicks into frosting. 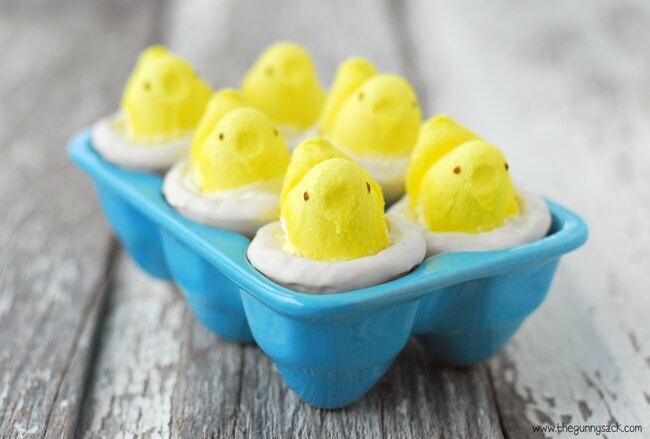 Place the Lil’ Chicks Cookie Cups in a colorful ceramic egg crate. I bought this one from Michaels. 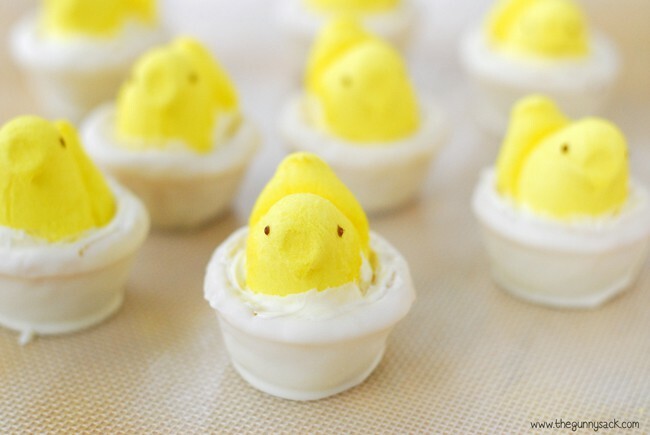 The Lil’ Chick Cookie Cups are so adorable for spring. They could be used for Easter or for a kid’s farm or barnyard party! Melt the vanilla almond bark in the microwave according to the instructions on the package. Dip the cookie cups into the melted almond bark and place them on a silicon mat or a piece of parchment paper to harden. 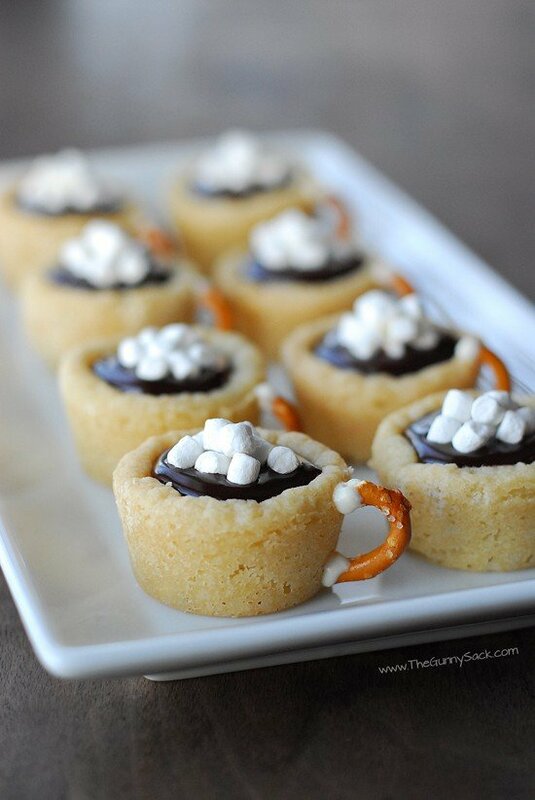 Use a thin, sharp knife to cut off any excess almond bark from the bottom of the cookie cups. Frost the insides of the cookie cups with vanilla frosting leaving room for the marshmallow chick. 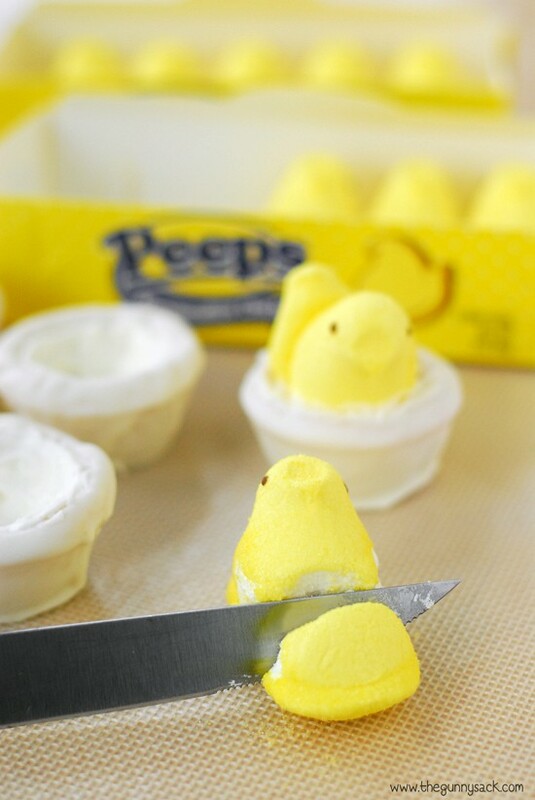 Cut the bottom part of yellow Peeps chicks off and insert the chicks into frosting. These are adorable! Pinning now! These are so clever! These will be so much fun to work on with my little boy! Thanks for sharing such a great idea! They will love it! Thanks Susan! Too cute and easy. But than all your recipes/ideas are. Thanks for brightening my days. You are so sweet! Thanks Teresa! Gorgeous picture! And cute cups. These are super cute! Definitely makes me think of spring!